Though I grew up in Texas, I was no farm girl. In our house, “farm to table” meant watching Green Acres over a Swanson's meat loaf TV dinner. Farms were what we saw and smelled through the windows of a gold Delta 88 when we drove across state. But after starting this blog and studying our food system for the last five years, my inner farm girl was starting to emerge. 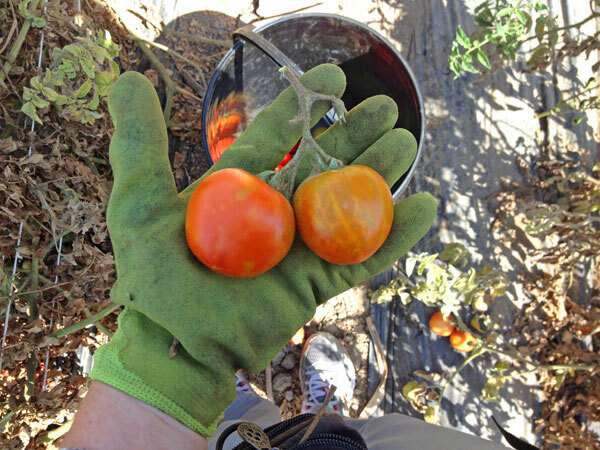 I had been wanting to volunteer with Food Forward, a Southern California food-rescue group, and picking organic tomatoes seemed like the perfect opportunity. 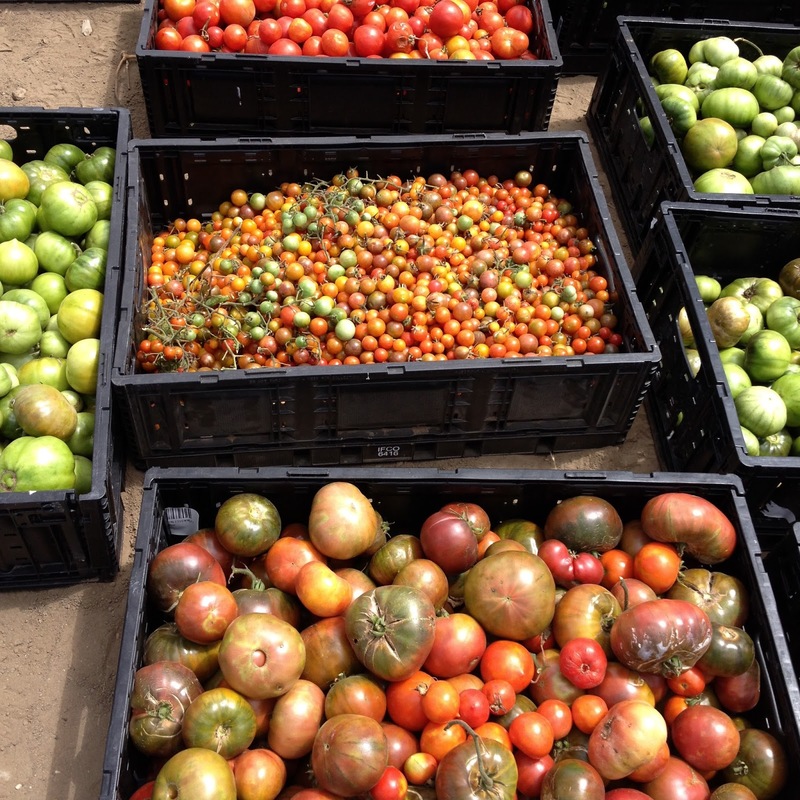 This hardworking nonprofit gleans fresh, local produce from private properties, public spaces and farmers’ markets that would otherwise go to waste and distributes it to people in need. The Food Forward credo revolves around Fruitanthropy: The picking, donating or distributing of fruit for humanitarian purposes. 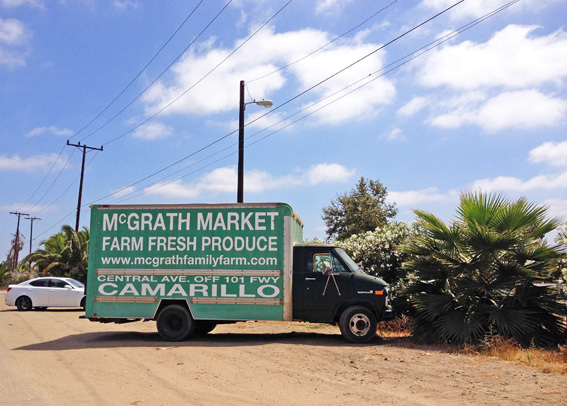 So I decided to take on L.A. rush-hour traffic on a Wednesday morning and make the hour-plus drive to McGrath Family Farm in Camarillo. Carbon footprint be damned. I was on a fruitanthropic mission. 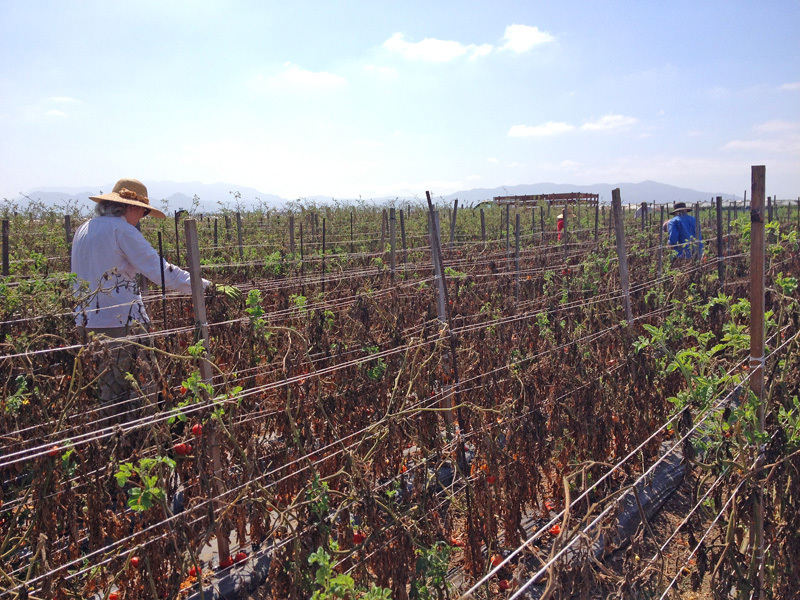 McGrath Family Farm is located right off the 101 freeway in Ventura County in the thick of a $2 billion-dollar-a-year agriculture industry. The county's top crops are strawberries, avocados, raspberries, lemons, celery, tomatoes, peppers, flowers, nursery stock and cilantro. 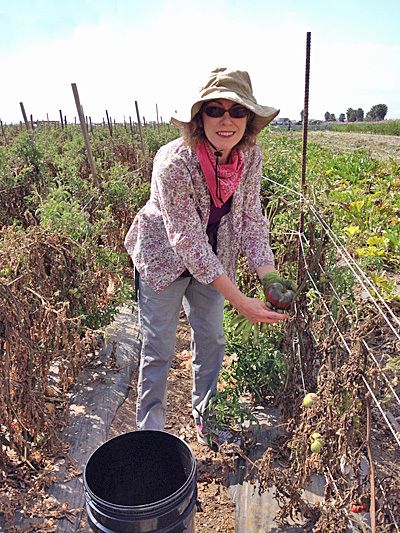 In a region teeming with pesticide use, McGrath has been a staunch practitioner of organic farming for five generations. With its deep topsoil, the perfect climate to grow year-round crops, and generous community outreach, the farm is a revered leader in the organic community. 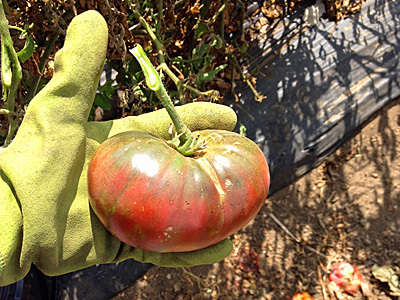 I worried about the freeway air looming over the heirlooms, but what can you do? When McGrath started, there was only farmland. A freeway moves in, and there goes the neighborhood. McGrath sells a wide variety of produce directly to restaurants and farmers' markets, from strawberries, tomatoes, corn and squashes, to beans, stone fruits, citrus, greens and root vegetables. 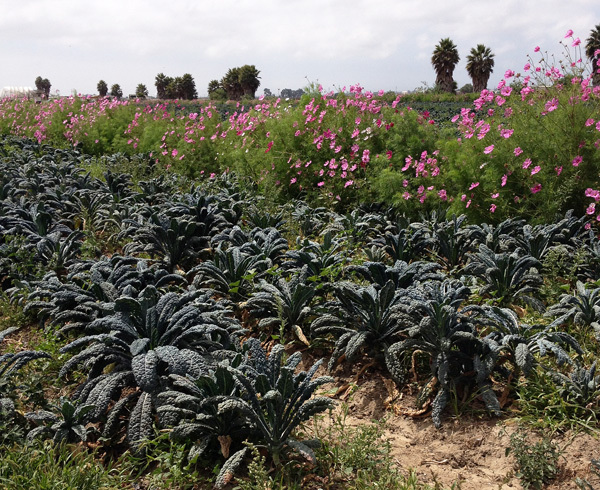 They also offer a community supported agriculture (CSA) program, educational farm tours, a u-pick farm for picking your own produce, and a roadside market. 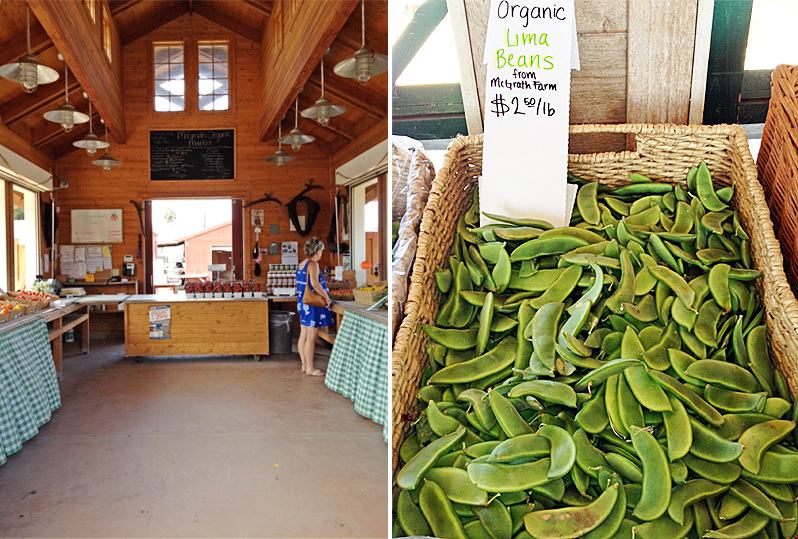 I was excited to buy some lima beans that were picked that day. Who knew these simple limas could be so fresh, so lovely and so who needs the French Laundry when I've got this bowl of beans? It was last call for tomatoes, and we were there to pick all the heirlooms, cherries and Early Girls we could since the remains would be destroyed the next day. It was sad to see all the fruity road kill go to waste when they could've become a gleaner's gazpacho, but we had to move on to the ones that showed more promise. Bend…squat…sweat...repeat. Once I started picking, it didn't take long to see that farmworkers are about a 12 on the thankless job meter. 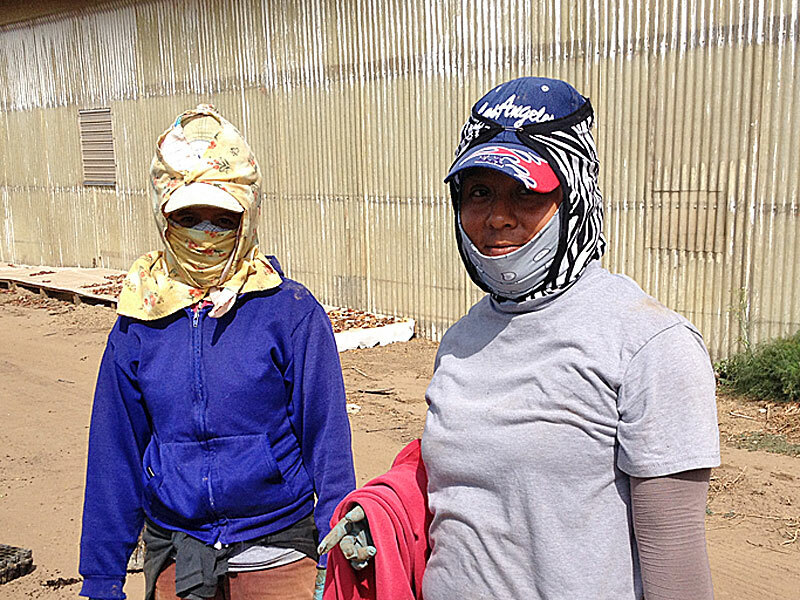 It was a mere 80 degrees outside, but what's it like when it’s 100 under all those heavy, protective clothes? 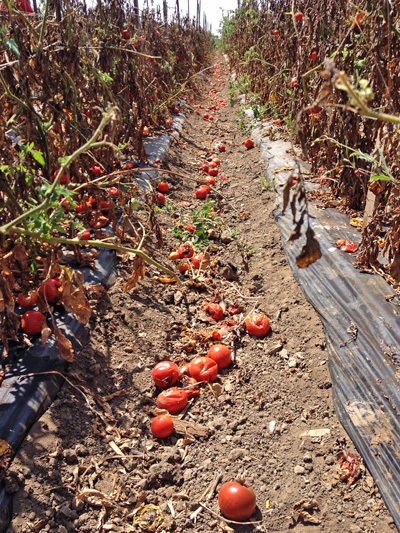 Working on an organic farm like McGrath must be like hitting pay dirt to a farmworker, as laborers on conventional farms face dangerous exposures to toxic pesticides with no adequate safeguards. 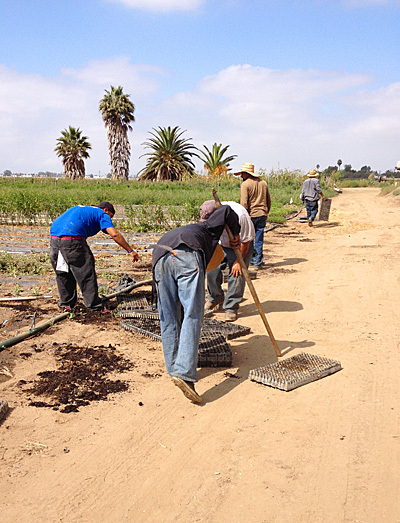 Many groups are trying to get the Environmental Protection Agency to implement a worker protection standard for farmworkers like they have for other job sectors. Not only do farmworkers have the lowest annual incomes of any workers in the U.S., one dies every day, and hundreds more are injured. Roughly half are undocumented immigrants—many living in substandard housing who can't afford to eat fresh fruits and vegetables. Those in favor of deportation should try working in the fields for a day. 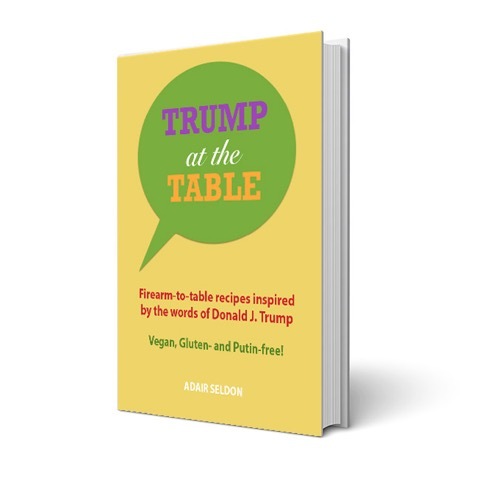 Maybe they'll see what it’s like to risk everything to put food on someone else’s table. 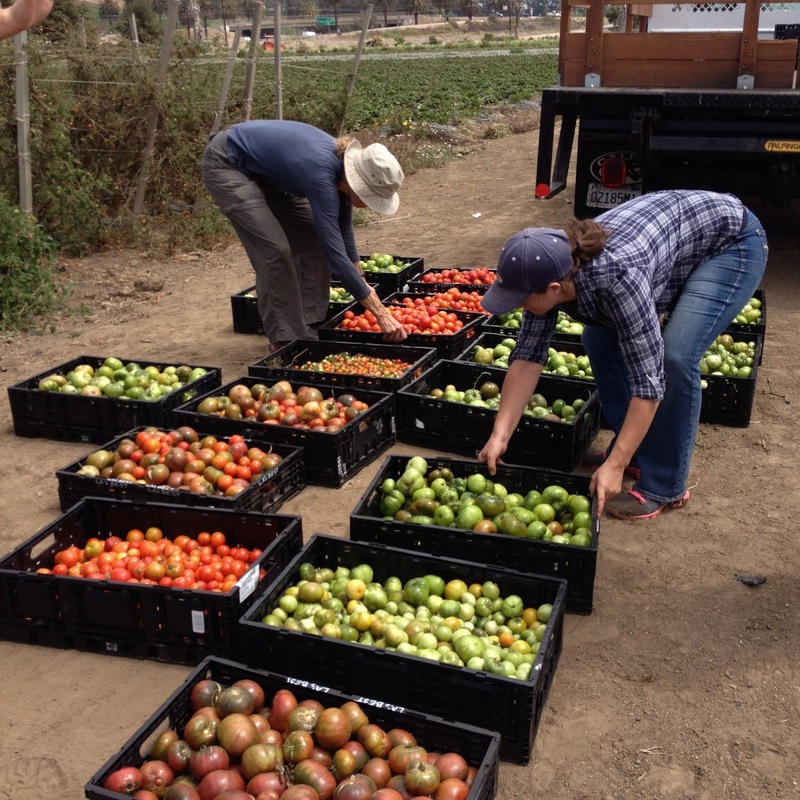 Thanks to McGrath Family Farm and Food Forward, there will be food on even more tables. 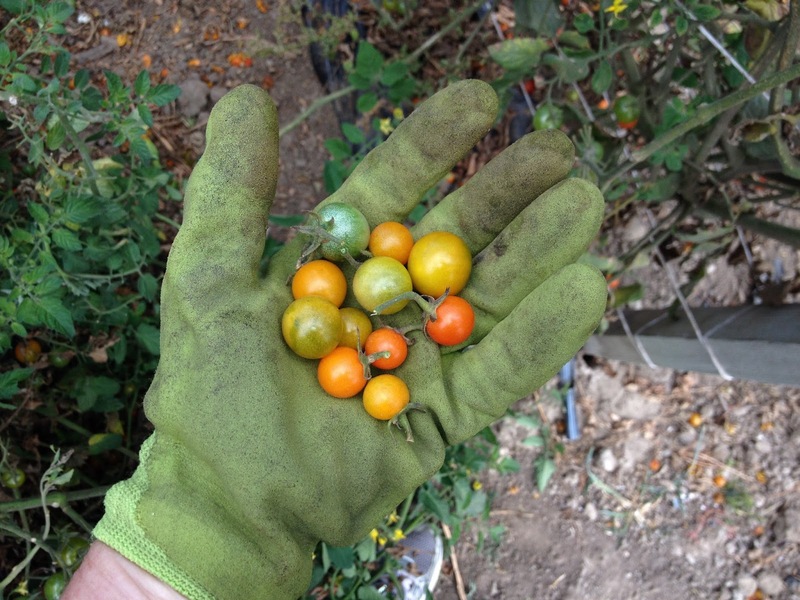 Want to harvest food, fight hunger and build community? 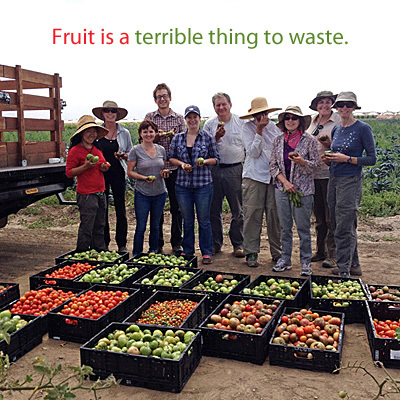 Go on a fruit pick or volunteer with Food Forward at your local farmers' market. You go girl! It's nice to think some needy people will have fresh tomatoes because of you. Truth with humor... you are on to something. Keep up the good job. Spending a day weeding, seeding or harvesting surely gives one a while different perspective on the value of farmers and farm workers. 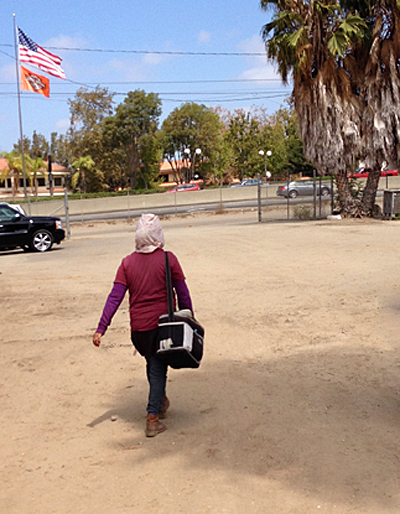 I absolutely agree with you re: those who want to deport our migrant farm workers. Yes, let them go out and plant and harvest for a few days. Wow, Adair. I think you've inspired me. I'd love to do something like that in my local area. Also, thanks for bringing light to the farm workers. I was recently talking to someone who immigrated here years ago who started out working by picking strawberries. He told me how he slept in the field and how bad the pesticides were. He said that due to the chemicals and harsh working conditions he eventually moved into doing construction type work. Hi Karen, the more I read about the farmworker situation, the more appalling it is. 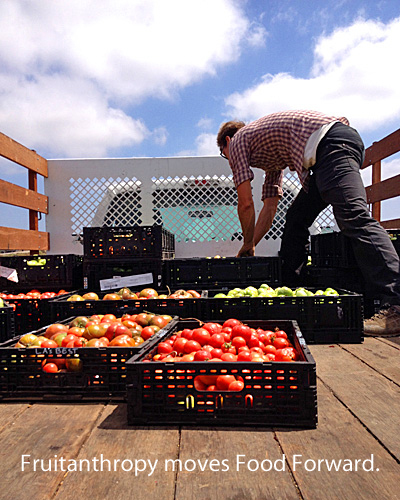 You can probably find a food rescue gleaner group in SD. Not sure if Food Forward is down there or not, but you can check the website.